Reviews of Man Of Steel only started hitting the 'net last night, but Warner Bros. is already pushing a sequel into production. In Hollywood, when you have a hit on your hands, it's best to strike again while the iron is still hot. Warner Bros. must no doubt have this mantra burned into the foreheads of each of its executives as a sequel to the not-even-in-theaters-yet Man of Steel is being fast-tracked for production. That's according to Deadline Hollywood, which claims that the second film in this latest effort to bring DC Comics' iconic Superman to the big screen should be a project to keep an eye out for. Not only should it be a bigger adventure than its predecessor, but it's also being helmed by the same team responsible for the first film. Deadline claims that director Zack Snyder and screenwriter David Goyer will return to these roles for the second film (with Goyer signing a big three-picture deal which includes the two known Man of Steel movies as well as that Justice League film Warner Bros. will eventually get around to producing). It's currently unknown if producer Christopher Nolan will reprise his gig for Man of Steel II (or whatever it's going to be called), but it seems like Warner Bros. is intent on recapturing whatever magic they believe is present in Man of Steel with its follow-up. 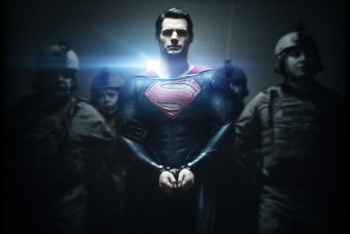 Of course, these are very early plans, and for all we know Man of Steel may yet tank at the box office and scuttle any ideas Warner Bros. may have had about building a new comic book franchise. Technically this film is in the very early stages of pre-production, but it's way too early for Warner Bros. to be making any concrete promises about things like the film's cast or when it might see theaters. Expect more details to arrive soon (it just makes sense to announce these things while Man of Steel is still generating box office hype), and expect us to bring them to you.